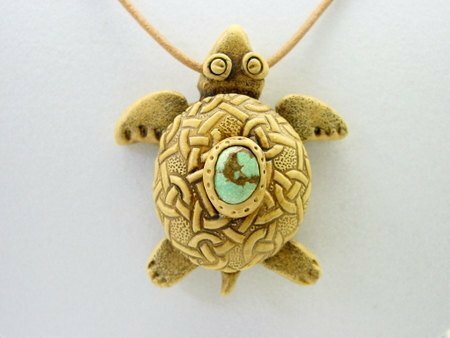 This lesson shows you in detailed step by step how to create turtle pendants. 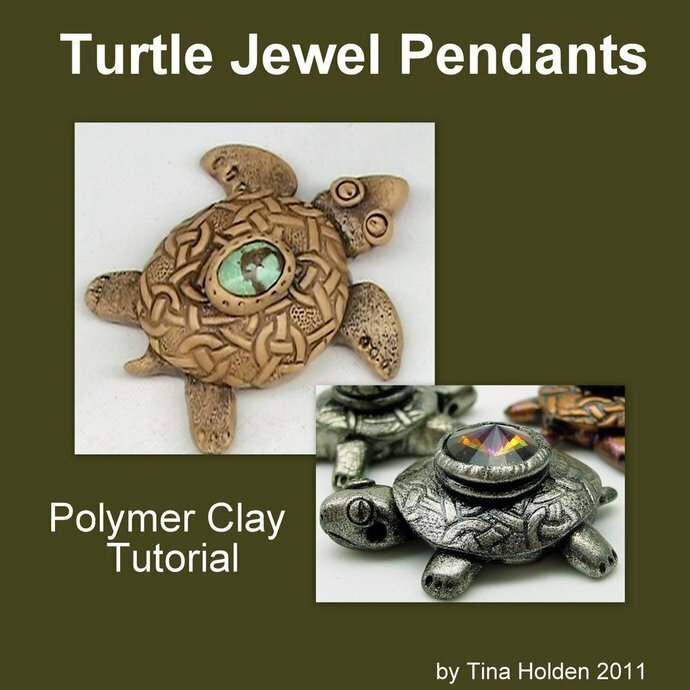 If you have any special sort of stones or even beads that are broken in half, learn to inlay stones by creating polymer clay bezels, sculpt the head, body, legs and tail. 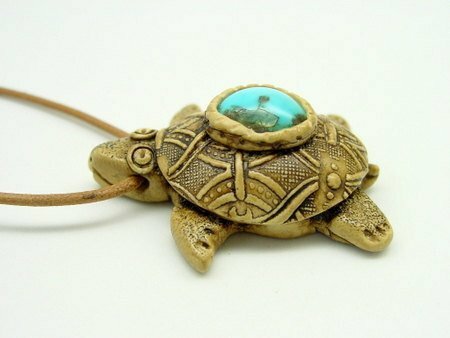 Then turn the turtle into an adorable wearable pendant. 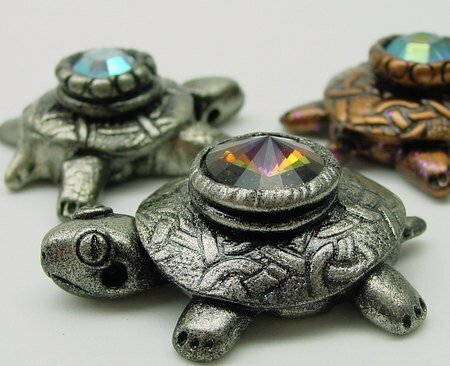 You can also choose to create a larger version as a decorative ornament. 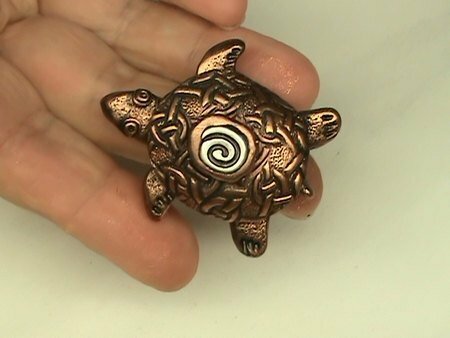 Tutorial shows you how to create the Faux bone or Vegan version and a describes how to easily do the metallic variation. This tutorial consists of 61 steps, 23 pages and 58 photographs.